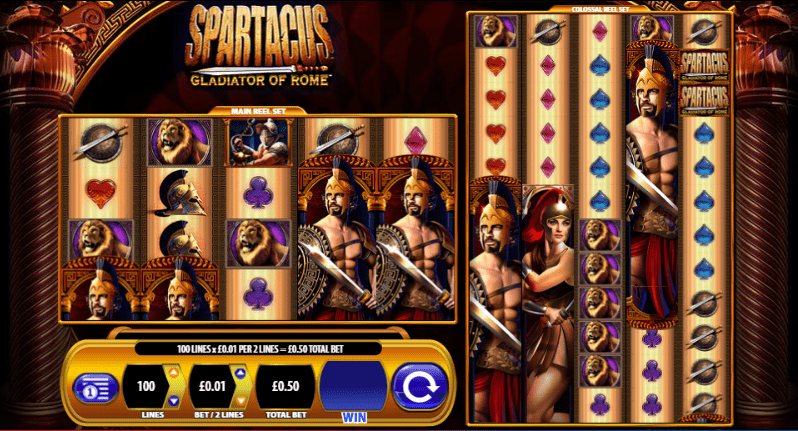 The legend of Spartacus continues, this time in online slot slots baby! What makes Spartacus stand out to us is simply the fact that this slot is played out over two sets of reels that both react to one another as you play! One small 5x4 board and a much larger 5x12 board. The developer here, WMS clearly wanted to craft something that stands head and shoulders above all others on visuals alone. In total there are 100 pay-lines for one to choose from if they do so desire, which is a great incentive to keep spinning when you think about it! There are endless possibilities when it comes to this slot, making it quite a fun one to experience overall really! It is also available to play on the best slot machine sites. Be sure to check out the rest of our written review below to find out more! WMS, otherwise known as Williams Interactive are an online developer who are incredibly versatile in what they offer punters far and wide. You might have heard of developers such as NetEnt and Microgaming, but where the true heart of the online slot industry is with WMS, a developer who work just as hard as the others, but maybe don’t receive the recognition that they deserve. We would go as far as to say that WMS are our favourite developer, but that would make us biased wouldn’t it? If you want memorable online slot experiences, then be sure to check out any of their highly enjoyable online slot experiences right here at SBaby! 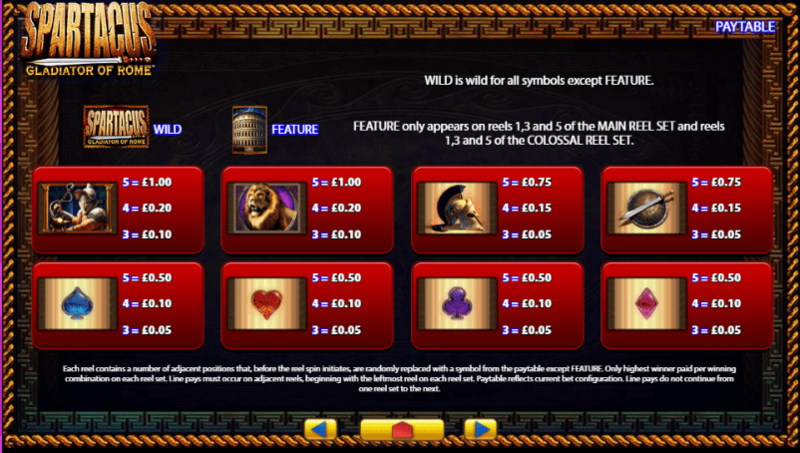 Tantalising Wilds: On top of regular wilds in this slot you also have stackable wilds that can build on top of each other once you match symbols around them, this is a great way of coming out with a much higher score overall. Rapid Free Spins: Matching as few as 3 coliseum symbols will grant you access to the free spins, these spins offer additional multipliers that will increase your scores when matched as a result. Big Scatters: Scatter symbols will be your path to the free spins you see before you. These scatters will be more frequent if you happen to be matching wild symbols on the board. Scatters are very fun when used appropriately. Spartacus is not for the weak of heart, it is one that requires attention with each and every spin that one partakes in. There is just something so enthralling about it all, be sure to check it out on your own accord to find out more! Or we recommend that you also try our other casino games online free play slot!